Cashew is an interesting fruit. The seed hangs at the end tip of the fruit. It is called 'ma moung him ma pan' in Thai which means heavenly mango. 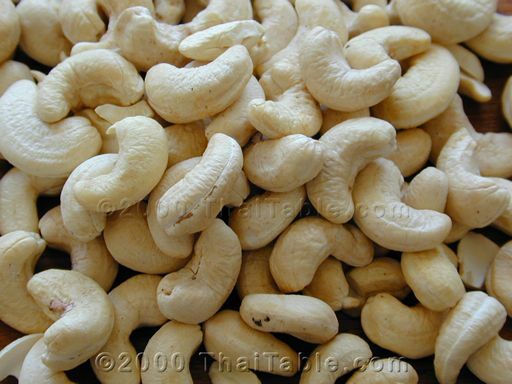 I substitute cashew for peanuts when the recipe calls for peanuts because of my fear of a carcinogenic mold in peanuts. This mold grows in warm climate, like Thailand. I would suggest if you go to Thailand, avoid peanuts -- in Thailand I usually ask the cook not to put peanuts in or, if it's too late, scoop them out.